SAN BERNARDINO, Calif. — Officials with San Bernardino National Forest are seeking comments from the public on four preliminary grants submitted to fund the forest’s off-highway vehicle (OHV) operations. The preliminary applications, based on public and staff feedback given in January and February, seek to enhance ground operations, law enforcement, restoration and new development. Ground Operations requests funding for route monitoring and maintenance, facility operations and maintenance at five staging areas, six trailering sites and three campgrounds, habitat monitoring, soil conservation, archaeology site steward program and new equipment to maintain trails. Law Enforcement requests funding for staffing and equipment to enforce regulations. Restoration requests funding to restore habitat damaged by unauthorized OHV use in a Roadless Area and other new locations, continued maintenance of 12 existing sites and funds to complete NEPA and restore off route use in a Special Interest Area. 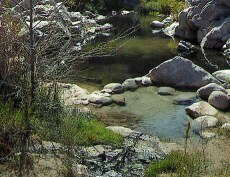 The full proposals can be read at California State Parks’ OHV website at www.ohv.parks.ca.gov. Public review instructions are available at http://olga.ohv.parks.ca.gov/egrams_ohmvr/user/home.aspx Hard and digital copies are additionally available by contacting Linda Stamer at lstamer@fs.fed.us or +1 909 382-2738. Comments are required to be submitted to California State Parks via their website under the “Grants” tab and also by email to Linda Stamer. Comments will be accepted between Tuesday, March 6, 2018, and Monday, April 2, 2018, at 5 p.m. PDT. The forest will review and consider the public comments and then submit their final grant applications by May 7, 2018.